I need help identifying two different species that were both caught in Acworth, Georgia. Photos will follow each description. The first species I caught on 6/2/18 at a local park and near my house, catching nine in total. They're roughly 8 mm long. 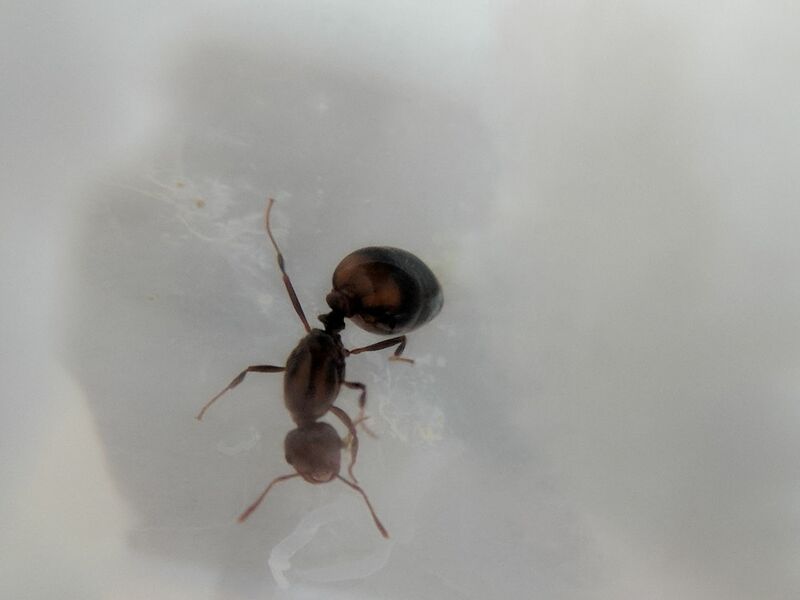 I was thinking perhaps Solenopsis invicta based on pictures I've seen, but I could use some help in confirming that. Also, I actually saw two of these queens digging their founding chambers in the dirt within 2-3 inches of each other and was wondering if this is something common. The second species was found on 6/4/18 just under the bark layer of a decaying log behind my house. She already had some brood that I collected with her. She is roughly 15 mm long. Thanks in advance for whatever help can be given in identifying these girls. 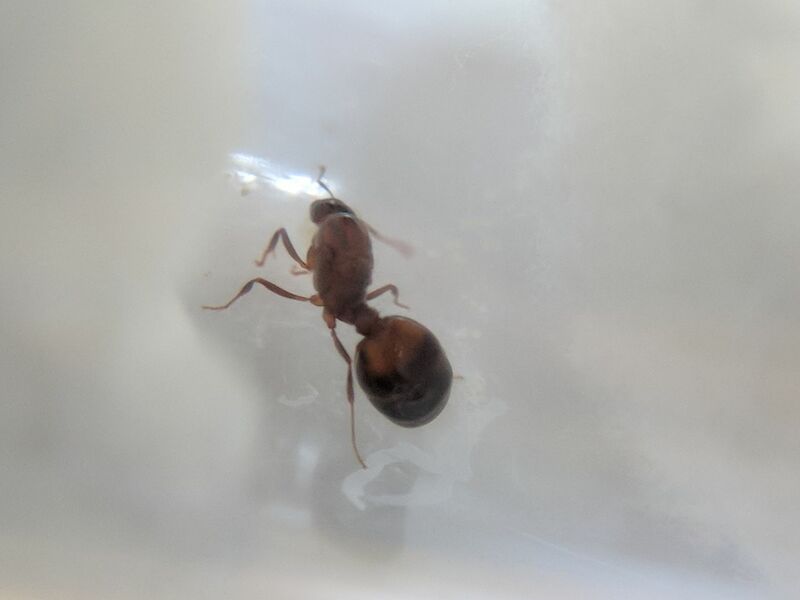 First queen is certainly Solonopsis invicta, second is Camponotus sp. most likely Camponotus pennsylvanicus. As for the queens found near one another, Solonopsis queens sometimes found their colonies together, although I think it was most likely a coincidence that they were nesting so close to one another. Usually when more than one queen start a colony together the weaker queen is killed once the first workers arrive, although some polygyny has been recorded in the species. 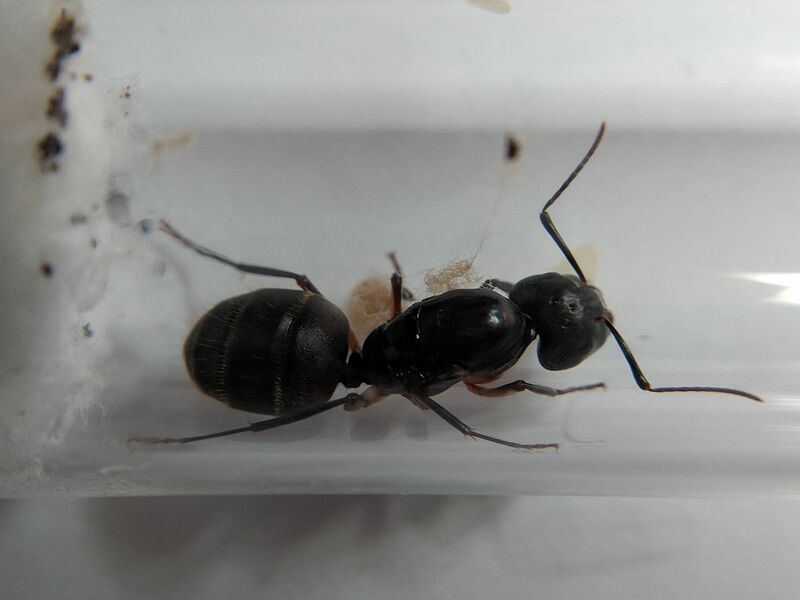 I Think The Second Is Camponotus Modoc.Her Legs Have That Key Coloration! Thanks for the responses. 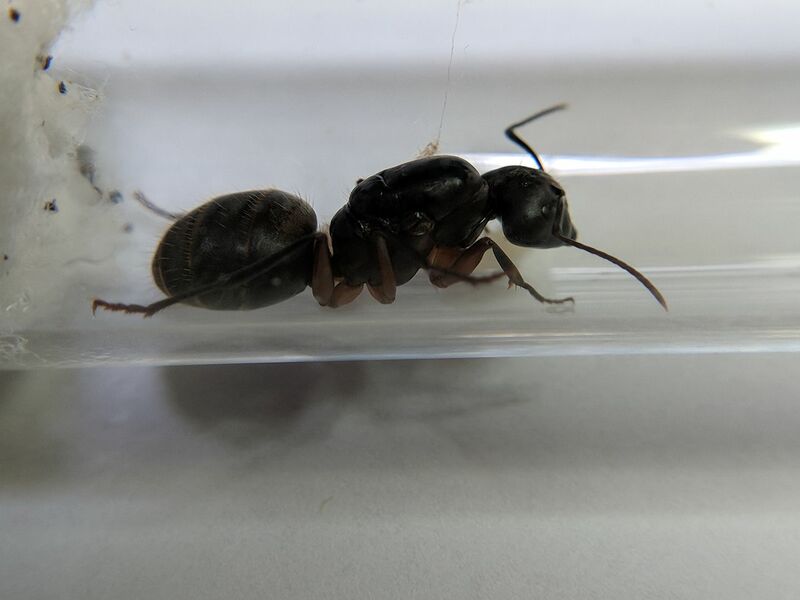 I do think the second queen looks maybe a bit more like Camponotus modoc, but has anyone else found one in the Southeastern US? Sorry for the very late reply, but I really don't think it's Camponotus modoc. Modoc's range extends east to only about Minnesota. I'm quite confident it's Camponotus Pennsylvanicus or maybe Camponotus nearcticus but I doubt it's the latter. The leg coloration is a bit odd though, maybe someone else has an idea.